The team from the Metropolitan Police Force collects Award for Diversity and Inclusion prize at 2017's ceremony. London’s police force has made great strides in recruiting more black and ethnic minority officers and has redesigned its selection and leadership development processes and career paths. 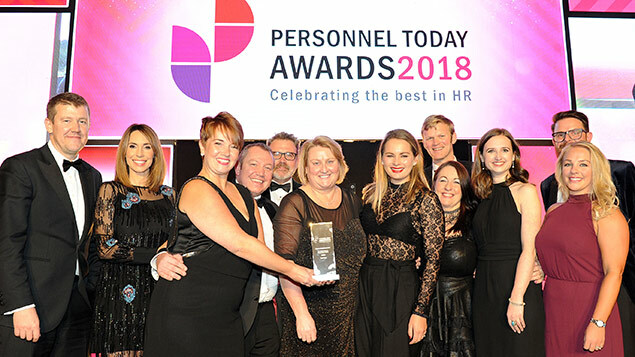 The changes enabled it to scoop this key prize at the Personnel Today Awards 2017. The runners-up also showed off plenty of innovative new policies and thinking in these areas. For the first time in the Met’s history it has more than 4,000 black and minority ethnic officers. It has also substantially increased the number of new police constable BAME recruits from 16% in 2014-15 to over 28% in 2015-16 and maintained this for 2016-17. These improvements are the outcome of the Met’s determination to ensure it “looks and feels like London”. Over the past three years, the force has conducted a programme across recruitment, selection and promotion, career development and talent management, leadership capability, staff engagement and grievance management. It has redesigned police constable recruitment to reduce disproportionality in its selection process and launched marketing campaigns leading to over 40% of applicants from BAME backgrounds. It also runs targeted recruitment campaigns to attract candidates with a second language and now places a greater emphasis on skills and behaviours needed for policing in the recruitment process. The force now runs Meet the Met events and offers pre-assessment workshops for BAME and female applicants to increase their chances of success. Police Now, its new graduate scheme, has achieved a 54% female and 28% BME recruitment rate in year two, higher than standard recruitment routes. Staff surveys at the Met used to show that staff felt some career development processes were unfair. In response, promotion processes have been completely redesigned to include more varied ways of selecting officers. The force has developed a new leadership framework, setting out the behaviours it values and will assess during our promotion processes. There is a new leadership development programme, Leading for London, to ensure managers at all levels understand their role in creating a safe, welcoming workplace with fair practices that encourage all staff to challenge and innovate. This offers a range of development opportunities to BAME and female officers, dependent on rank, with the majority being accessed online. Since 2013 the Met has promoted 225 BAME officers and 467 female officers across the ranks from sergeant to chief superintendent and BAME officers represent the Met at every rank up to and including assistant commissioner. Research conducted in 2015 by Disability Rights UK has shown that problems with workplace adjustments “both inhibit performance and prevent movement between roles for career development”. Almost 10% of the Civil Service have reported a disability, equating to 38,500 civil servants with disabilities and health conditions (and potentially considerably more who have opted not to record their disability). Successive People Survey results and independent research identified that engagement levels among disabled employees are significantly lower than those without a disability, on average by 10%. The Civil Service aims to be the most inclusive employer in the UK, drawing on the richest mix of talent from all demographic groups. The Workplace Adjustments Service was established in 2015 as part of the Civil Service’s diversity strategy, Talent Action Plan. The aim is to improve the experience of disabled employees and to increase line manager confidence to support them. Following a successful first year, the service has continued to grow in scope and reputation. It has seen a steady increase in case volumes and the team have provided a quality, expert service with consistently high levels of customer satisfaction. The service has helped Civil Service Faststream and Civil Service Resourcing to attract more disabled employees, by identifying and putting in place workplace adjustments at the recruitment stage. L&Q is one of the largest housing associations in the UK. Last year it merged with East Thames HA to create a new 90,000-home, £22bn housing charity. At the end of 2015 L&Q set out a three-year equality and diversity strategy. An Equality and Diversity group was established to drive initiatives with the sponsorship of the leadership team. L&Q takes a multi-channel, inclusive approach to attraction and has moved away from relying on sector-specific media. Under the new strategy, the apprentice scheme is one of L&Q’s flagship corporate social responsibility schemes. It specifically targets young L&Q residents and other social housing tenants, as well as local schools. Ten young people are recruited into each intake and are placed across the organisation. About 60% of L&Q’s apprentices have gone on to paid employment at L&Q. Unconscious bias workshops have been established, as well as other inclusion groups such as the L&Q Foundation, which aims to improve peoples chances in life by creating opportunities and projects that tackle disadvantage and social inequality. There is also One Goal – a consortium of London football clubs which provide young people with free holiday activities (around 8,000 people take part each year); a young carers’ programme; breakfast clubs; an education attainment programme; and a neighbourhood committee budget. In addition, there are groups for LGBT staff and customers, the Inspire women’s network and the Kaleidoscope BAME group. 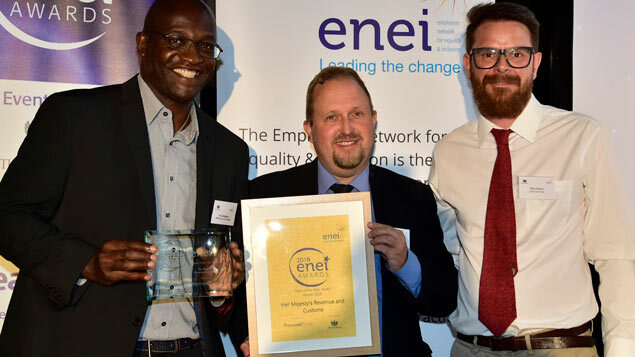 These initiatives have seen the numbers of women and black people working for L&Q rise significantly and the organisation is ranked 64th by Stonewall in its 2016 Workplace Equality Index. In 2012, global recruitment company PageGroup recognised it was losing talented women and needed to shift its culture and become truly inclusive. Its answer was OpenPage, a framework designed to ensure that the company attracts people irrespective of disability, age, caring status, sexual orientation/gender identity, race or gender. The strategy sits with the executive board and is owned by the global D&I director, with each board member appointing a regional OpenPage lead. Its impact has been swift. In two years, staff turnover decreased by 6.4% and in the UK the three-month rolling attrition figure is the lowest for two years. The number of UK female operational managers has increased from 42% to 47% (2012 vs 2016) and UK female operational directors 25% to 39%. A pivotal part has been the establishment of a global mentoring programme, which has seen a 10% increase in productivity for women. As part of the programme a lot of work has been done around maternity which has seen maternity return rates rise to 87% from 76% (2012) and a 23% increase in men and women working flexibly since 2012. As Stonewall’s first recruitment company to be a Global Diversity Champion, PageGroup says it is passionate about its employees bringing their “whole selves” to work. Since launching, employees have found the strength to come out to family, friends and colleagues and celebrating Pride Month (June) is a way of raising visibility across the business. Making reasonable adjustments for employees is commonplace across PageGroup, whether it is adjustable desks for people with bad backs or special pens and ear-pieces for the hearing impaired. The OpenPage scheme’s leaders feel its success has been down to adopting a strategic approach with clear objectives and genuine measurable outcomes. They have gained the trust and support of the senior leadership team to “make it happen” and this ensures that D&I is owned by the business, that key stakeholders are accountable and measured on impact. The Southbank Centre is a world-famous, multi-venue arts centre in London, with a year-round festival programme and an inclusive ethos. In 2013 it reviewed its workforce statistics and felt its staff were not truly representative of its communities and audiences and so developed a four-year diversity strategy. There are several ways in which the strategy has been implemented. Among them is the establishment of apprenticeships. These enable young people without a university qualification to access entry level positions they would otherwise not be considered for. Fourteen young people have successfully completed their apprenticeship, 50% from a BAME background. Work experience is another key area and the Centre is in its fourth year of a targeted work experience programme with a partner school in a deprived part of Lambeth to engage young people aged 14 who do not have connections in the sector to think about careers in the arts. It has also partnered with Access Aspiration, which enables year 12 students to complete an Arts Award Bronze during work experience in their school holiday. In the last academic year, 70% of these students were from BAME backgrounds. Another major step has been the establishment of a Positive Action Training placement, a six-month internship ring-fenced to young people with a disability. Southbank Centre has also re-energised its volunteer programme, which enables people who wouldn’t normally engage in the arts to gain first-hand exposure. In 2016, 30% of its volunteers were from a BAME background and 6% identified as being deaf or disabled. A decision was taken to remove names from application forms and to ensure that all managers attended recruitment training, including unconscious bias training. Finally, the organisation has broadened out its recruitment sources including more use of social media. Surrey Police’s workforce consists of about 4,000 officers and staff. Its diversity team reports directly to the deputy chief constable, reflecting its importance in the organisation. A key objective for the force is to increase its BAME representation, including achieving internal overall BAME representation of 9% by 2019. At Surrey Police, like many UK organisations, BAME representation is about 4%, despite the county’s overall BAME representation of 9.5%.Surrey Police’s Association of Culture and Ethnicity (SPACE) proved to be a central part of the solution. It is a “critical friend” to Surrey Police and has fostered a two-way relationship with the deputy chief constable to influence policy and procedure while changing culture from within. Since 2015, SPACE has attended community events at schools and faith festivals, come up with a recruitment process that highlights barriers including unconscious bias and designed and implemented a BAME mentoring scheme for potential new recruits. It also organised a conference for 100-plus BAME officers and staff, focusing on recruitment and career progression. 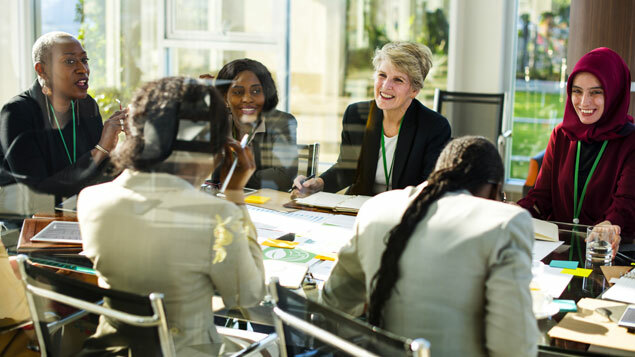 Current BAME staff act as recruitment champions, there are personal career development plans and a BAME female mentoring scheme has been created to increase leadership representation. A major effort has been made to review all BAME leavers and exit interviews to identify trends and to undertake academic research including a national public survey of BAME individuals to identify issues and recommendations. Since coming on stream with 30 potential recruits, the pre-join mentoring scheme has resulted in several passes for candidates who had previously failed. Unsuccessful BAME applicants can re-apply within the six-month period – six applicants have re-applied and been successful after joining the mentoring scheme. In January 2016, 9% of applicants were from BAME backgrounds. By October 2016 this figure was 17%, a trend that’s continuing. In total, 23 BAME officers have joined Surrey Police via the SPACE Mentoring scheme in 2017. T-Systems is the corporate customer unit of Deutsche Telekom. It operates information and communication technology (ICT) systems for multinational corporations and public sector institutions. The technology sector has a reputation for gender imbalance at senior levels. To tackle this, in 2010 Deutsche Telekom committed the company to achieve a quota of 30% female middle and senior managers by the end of 2015. T-Systems UK set about addressing the challenge by analysing the current situation and then reviewing how it attracts and retains talent. The overall gender split in the UK is 70% male and 30% female. However, the percentage of female in senior roles is only 13.8%. T-Systems felt it needed to attract more female talent as well as retain its current talented pipeline of women and help them progress up through the organisation. T-Systems was the first organisation to submit gender pay gap data to XpertHR to carry out a third-party analysis and gain an independent view. It has appointed champions to help drive diversity and inclusivity initiatives across the whole of the business. It also partnered with Diversity Jobs to attract more female staff, revised all job descriptions and conducted diversity awareness presentations. More flexibility with home-working, an improved maternity policy and flexible hours were also introduced. The results have seen women in target positions rising from 20% to 27%. T- Systems brought in an enhanced maternity leave policy to support the Deutsche Telekom drive to retain and increase females return to work after pregnancy and childbirth. HR’s data shows that most women who return to work do remain for more than six or 12 months. At the beginning of 2012, Virgin Money acquired Northern Rock in a deal worth £1bn. The bank has been transformed from being a small, privately owned company with 400 colleagues to a highly profitable listed business with over three million customers and about 3,000 colleagues. The bank’s diversity and inclusion strategy aims to make Virgin Money a “welcoming place for all”, where colleagues can be their true selves. In 2016 the bank set out to achieve significant progress in regard to gender equality, having recognised that it did not have a gender balance throughout the company. The project team collected views from men and women in the mid-tier across the sector about what they believed would help women progress in financial services. Based on nearly 3,200 responses, the result was a set of 10 positive actions including: the provision of technology to support flexible working; implementation of transparent pay structures; better support for working parents; and more opportunities for women to gain commercial experience. Action has also been taken to remove barriers to equal progression including dealing with unconscious bias and requiring all recruitment agencies to provide managers with diverse candidate lists. Virgin Money also decided to voluntarily disclose its April 2016 pay gap early. This was not done to profile the gap itself – at 36% it was not a figure the company could feel proud of. The bank has played a key role in the delivery of the HM Treasury report into women in financial services. Its recommendations have been adopted by over 120 companies, including companies outside finance. 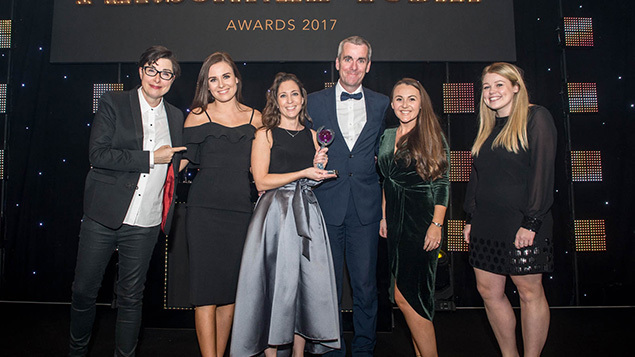 Pay transparency at Virgin Money has improved and the company has achieved a 50:50 gender balance in its talent pipelines – the Future Business Leaders talent programme and apprenticeship programme are both evenly balanced. The bank has also adopted the Hampton Alexander report recommendations for companies to disclose the gender balance at management level, reporting this at 31%. The engagement gap between minority groups and the company average closed in 2016, to within 2% of an industry-leading 81% company engagement. The bank has committed to ensure that there is no statistically significant pay gap in any employment category by the time it meets its 50:50 target. Its gender pay gap has improved by 10%, declining from 36% to 32.5%.